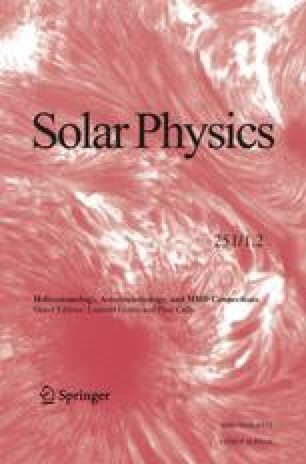 The efficacy of fast – slow MHD mode conversion in the surface layers of sunspots has been demonstrated over recent years using a number of modelling techniques, including ray theory, perturbation theory, differential eigensystem analysis, and direct numerical simulation. These show that significant energy may be transferred between the fast and slow modes in the neighbourhood of the equipartition layer where the Alfvén and sound speeds coincide. However, most of the models so far have been two dimensional. In three dimensions the Alfvén wave may couple to the magnetoacoustic waves with important implications for energy loss from helioseismic modes and for oscillations in the atmosphere above the spot. In this paper, we carry out a numerical “scattering experiment,” placing an acoustic driver 4 Mm below the solar surface and monitoring the acoustic and Alfvénic wave energy flux high in an isothermal atmosphere placed above it. These calculations indeed show that energy conversion to upward travelling Alfvén waves can be substantial, in many cases exceeding loss to slow (acoustic) waves. Typically, at penumbral magnetic field strengths, the strongest Alfvén fluxes are produced when the field is inclined 30° – 40° from the vertical, with the vertical plane of wave propagation offset from the vertical plane containing field lines by some 60° – 80°.